The trainer is perfect, it has all the options in one. Amazing work man ! For whom want's to see a review on it here it is. EDIT: nvm, needed to update my ScriptHook. Working now! Anyone having problems with spawning objects and vehicles? Other than that, GREAT mod!!! @TaazR, from someone at the scripthook dev channel. They were all in json, I converted them via powershell to a struct in VS. I can provide you with the whole struct. Probably taken from xbox files. @snit01, They should be there as I went through all of the RPF's looking for peds, however I cannot check them now as I have no access to the game nor trainer. As soon as I have, will let you know. @crazycarrot, I did make a small mistake when I first released, so maybe you got it really early, if so redownload and try again. Edit, crazycarrot, you have an outdated version of scripthook.dll, download it from the soruce. Can you rename model names in model spawning? Maybe just like Enhanced Native Trainer by arewenotmen? Its really inconvenient to find a specific model. I am using original game names, so not sure why it would be inconvenient, they are also sorted in categories to make it even easier to find. Finally you can enter a model name in game, to make it even more convenient. Of course you are free to rename them for me, I can provide you with the list once I get back. There are actually three teleports to North Yankton, one is dead easy to find, as it's on the first teleport page, right up from teleport to waypoint, the other two are on the other teleports page. The only thing missing for me is setting the unlimited ability in the ini file itself, everytime have to enable it in the game, and a simple go to marker/ waypoint as the first in the teleport menu in game as it is in third last option, please add that abilty function in ini also in the next release. I can't get this to work for some reason, all other ASI, .luas and .net scripts work fine. Not sure what the problem is. http://gtaforums.com/topic/789786-vrelwip-enhanced-native-trainer is an open-source trainer. Model spawning is very inconvinient for me in your trainer because i used enhanced trainer for a long time ...But i wanna use your trainer. So please rename them. Vehicle Spawner names are alright. But model names...i mean its time consuming in your trainer. I don't see how it would be more time consuming, what's quicker than entering the name of the model into the game and have it spawn. This is a consmetic issue not a functionality issue. I don't see how it matters that something is called AC_boar instead of boar, it's the exact same thing. If you want to rename them, fine, I will provide you with the list, I personally have more things on my mind, and would rather spend my time on more important things. Still like it a lot. Loving the new Simple Trainer, awesome work sjaak! Tested everything I could think of, so I have a couple of suggestions. I'm sure you've already thought about these, but I'll lay them out just in case. Disable game input during menu activity. 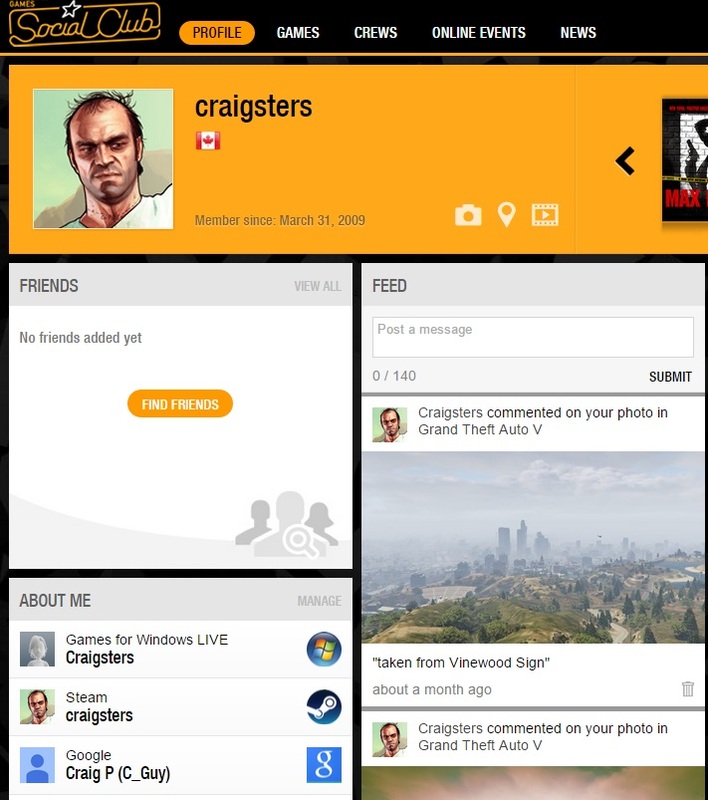 GTA V disables input within the cheat menu, and I think it would work well with Simple Trainer as an optional toggle (especially while using gamepads). Teleport location saving hotkeys (like IV). Teleport location saving rotation values. Useful in tight spaces when trying to face specific directions. Spelling and grammar fixes in menu/messages. No peds and no cars via INI options. With regards to stability, I haven't any bugs/crashes on my computer. Simple Trainer will be perfect for my needs with these changes, but I'm sure you can prioritise accordingly. Looking forward to future releases! That'd be very helpful, thanks! Before downloading and installing I have a few questions. 2) Can you still acces Online while having this mod on your game, or would you need to have a backup version of the game and use that to play online? His GTAIV trainer is simply legendary. I would personally trust this so you shouldn't worry. You have to remove Scripthook anyway, so my guess is no. Just move the files away. I created a new folder and copied all the game files into it. This new folder will be for my modded version of the game. That way I will have a backup version (clean, no mods) that I can also use for Online. The problem is that the GTAVLauncher.exe in my new folder doesn't work. When I open it it says "The game was not launched via the Steam Clinet". What should I do? I do not want to modify my main game folder, that way I won't be able to play online or repair my game if I download a mod that doesn't work. 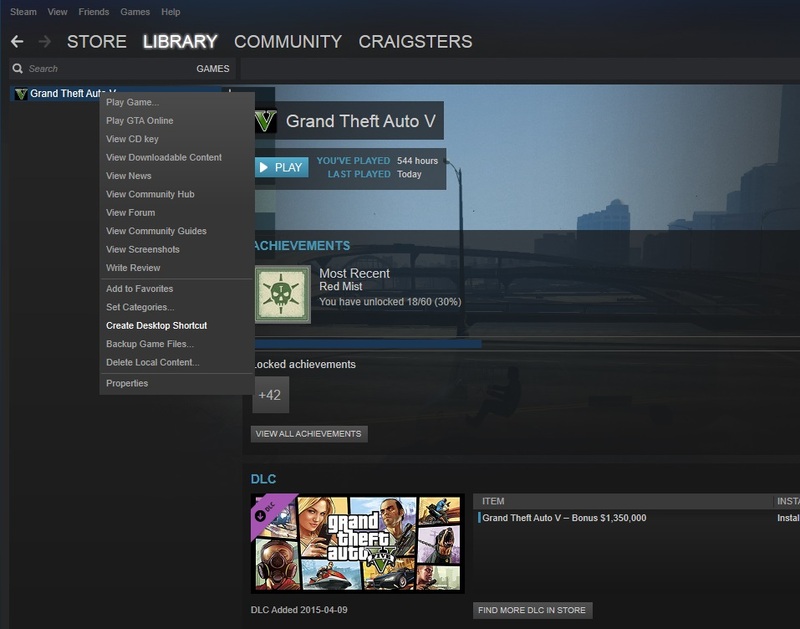 I have tried adding the GTAVLauncher.exe to my Steam library and launch it that way but with no luck. Anyone having the same issue? Still doesn't work. Am I doing this correctly? I added the GTAVLauncher.exe to my library, but when I create a shortcut for it, it still won't open. The name is simple trainer, but when I go into vehicle mod or clothes change menu all I can see is numbers, that's not simple, please change that into text GUI for easier work, for example if I want to change spoiler of a vehicle, instead of playing with numbers can you please replace it with simple text like low end, high end spoiler, that way for all available vehicle mods please. 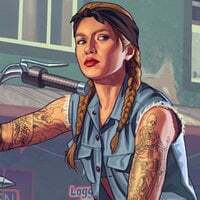 One extra request, please also add option for player not falling off from bike or getting thrown out of car when crashed with another vehicle or building like somewhat sticking to it when that option is enabled, and as in earlier requested, please also add the function of unlimited ability in the ini file, it will be much helpful than to always enable it in game. Hope the next release will include this all. I have already linked my Steam account to my SC Profile. 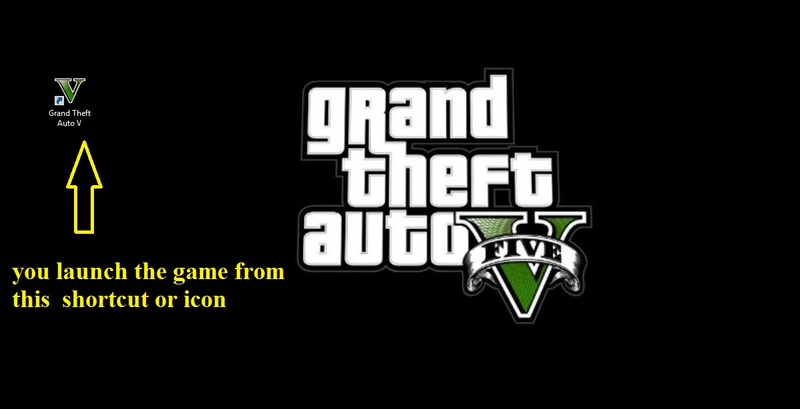 I tried using the GTAV.exe instead, but then it says that I need to use the PlayGTAV.exe which doesn't exist anywhere. My game works perfectly when I launch it normally, but when I use this second version in a different folder it messes up. I belive the method you send me there was if the game didn't work at all, but it does. It's only when I launch it through the second folder. It should be possible as this worked perfectly fine with GTAIV where I had like 4 different version of the game on my pc. As others have said, this is an awesome mod and a significant improvement over Blade's trainer. Just one problem i'm having, when i press the backspace button to move back to the previous menu, the whole trainer menu closes and i have to start again. Is this supposed to happen? Vehicle Boost/Brake doesn't work for me anymore. I agree with this. It's fine just the way it is. @RobGTAIV yeah this is by design currently. If I have some more time, I can maybe make it remember the actual page, but for now this is how it is supposed to work. @ssalil, not sure why using a numbering scheme from 1 to the highest possible mod per category isn't anything but simple. All of the mods are numbered from 1 to the highest possible number, and I don't know or care that 1 is a low end spoiler and 4 is a high end spoiler, the same with the clothes. Do you have any idea of the amount of work involved to solve this cosmetic issue ? Also did you not read the OP, where I specifically noted that this is beta and some features (including save settings ingame and customization of the ini) have not been done yet. SO yeah I understand and aknowledge that some settings are great to have in the ini, and they will come in due time. If you want to go back to the previous menu, you have to press Num 0 not Backspace. Backspace is to close the trainer. Really great trainer sjaak! I loved your trainer in GTA IV and still love it in GTA V!